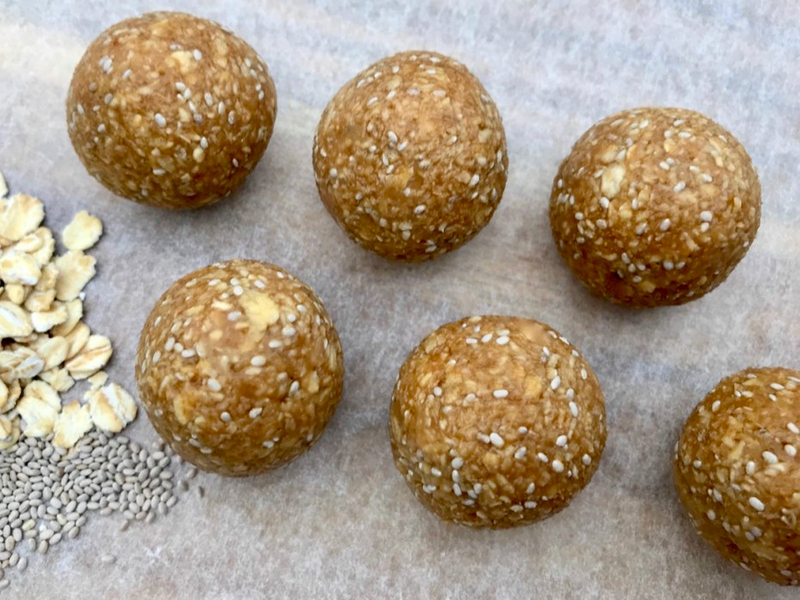 Easy, healthy, protein filled energy balls. Love em. Need em in your fridge. Make ’em. Roll into small sized balls. Place in fridge for 30 minutes.